From the perspective of Bangladesh, Intellectual Property (IP) law is not new. The law of patent and industrial design in Bangladesh is dated back to 1911. Whereas Copyright act enacted in 2000 repealing 1962 Ordinance. Bangladesh is a member of World Intellectual Property Organization (WIPO). The country ratified Paris Convention regarding the Protection of Industrial Property in 1991 and also the Berne Convention for the Protection of Literary and Artistic Works in 1999 and a signatory to TRIPS of WTO. Besides regular practice of lawyers and other professional in searching, filing, publishing and challenging patent, copyright, trademark, design rights, IP rights in respect of information have assumed critical importance and now joined with the mainstream IP works. A common challenge faced by pharmaceutical products, software, and other digital products is that developing the same requires so much of investment but once the formula is established the end-product can be reproduced easily and cheaply. While application of patent system to software is debatable, every software will qualify for copyright protection. However due to internet, mass copying capabilities has been developed, protection of copyright is a big challenge. Trade mark registration for local and foreign mark for business and charters of software-based games is a common area of practice where lawyers are actively involved. We have been engaged in filing and recording all Intellectual Property rights within Bangladesh for more than 6 years. Our ADR, Land & Tribunals Team has expertise in this area. 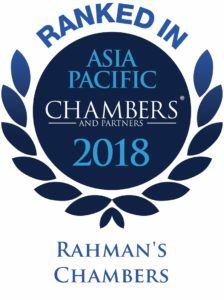 Rahman’s Chambers has an impressive history of assisting clients both nationally and internationally in securing their Intellectual Property rights. Our services includes registration of IP rights and also dealing with disputes arising out of such rights. In recent years, we have witnessed demand from international client over filing several trademark in Bangladesh territories relating to different kind of products e.g. fruits, musical item etc. 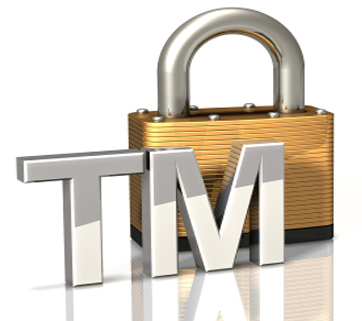 Trademark TM registration for a number of foreign and local brands and mark. Searching mark for a number of foreign companies. Provided legal consultancy to a renowned scientist on several aspects of patent protection and drafting related agreement. Both regular products and information technology related product seek protection of trade mark law. Most business have their presence in the cyberspace and internet domain name incorporates their real life identity, which is a component of trademark. Domain name hijacking hence a very live issue . However, due to ICANN’s domain name dispute resolution policy the resolution of dispute is now simplified by creating administrative panel. Registration to identify classes of goods and advise on possible Trademark registration options. Filing of the application including search, advertisement and payment of fees. Challenges and appeal hearings before the Registrar. Resolve dispute using ADR for infringement, passing off, misuse etc. Suits for infringement, passing off, misuse etc. Legal assistance involving disputes over domain registration before Administrative panel of ICANN. Google’s take over of Motorola for USD$ 12.5 Billion for its 17000 patents and subsequent sale of physical assets to another company signifies the important of intellectual property rights particularly patent rights. Multinational companies are competing with each other with Smartphone and software related patent registration. However, it is not easy to register patent for software related item as it is ever changing and many organisations are working on the same product and also it largely depend on the ability of the patent office to make comprehensive search on technology which is truly novel. The right of priority ensured by Paris Convention and introduction of GATS and TRIPS in many ways facilitating investors whether they are from developed countries or are based in third world countries. With the development of information technology, copyright infringement also grown and took very different shapes. Software piracy is now a global issue. Bangladesh is a signatory of Berne convention. Registration of copyright under the Copyright Act is voluntary and not obligatory. The certificate issued by the registrar of copyright constitutes prima-facie evidence of ownership of copyright. Registration process in the office is manual not automated. The copyright board acts as an appellate authority and is deemed to be civil court. Lawsuits between technology companies e.g Samsung vs Apple on the design of Galaxy tablet show how much the tech giants relies on intellectual property rights. Industrial design refers to the right granted in many countries, pursuant to a registration system, to protect the original Ornamental and non-functional features of an industrial article or product that result from design activity. In Bangladesh, designs are registered and governed according to the provisions of the Patent and Designs Act, 1911. The design of an article may be registered if the shape, configuration, pattern or ornament given to it by any industrial process or means is new or original it is not previously in Bangladesh. Article: Copyright law in Bangladesh: Need to ensure better implementation (Vol. 2 of 2011).